State Government has expressed sadness over what it described as the failure of President Muhammadu Buhari to act in areas it least expected him to. This is coming three days after the president visited the State. It also noted that his visit did not rekindle any hope in the people. The Special Adviser to Governor Samuel Ortom on Media and ICT, Mr Tahaz Agerzua, stated said on Thursday during his appearance on Channels Television’s Sunrise Daily. “We appreciate the visit, but we didn’t get any hope. “In Benue State, the President did not condole with us. “We appreciate that he was able to take his time and come and sit down for several hours to listen to the stakeholders, but he did not sympathise with the families. “What we expected from the President was to give us assurance that the invaders would be chased out; there are presently 170,000 displaced people in eight counts across the state, that is a huge humanitarian crisis. “We thought that there would be some word of chasing these people so that the displaced can return to their houses,” the governor’s aide said. He further dismissed claims that the state government had sent the herdsmen parking from the state, in retaliation for the reported killings. Ortom’s adviser, however, maintained that the status of the grazing law remains the same while the herdsmen are advised to abide by it. According to him, the move s to avoid cattle from further destroying farm produce that might result in more clashes between the farmers and the herders. President Buhari had during his visit to Benue on Monday, appealed to leaders of various groups in the state to convince their constituents that the Federal Government was doing its best to end the recurring attacks by armed herdsmen in various parts of the country. 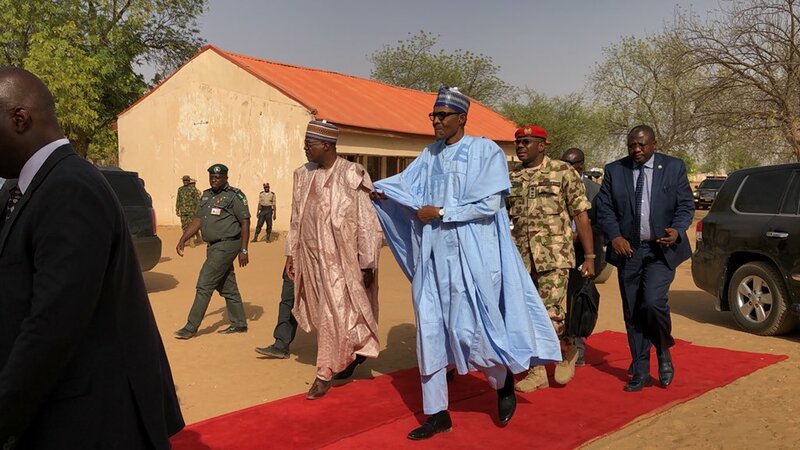 The President’s visit to Benue comes weeks after some communities in Guma and Logo Local Government Areas of the state were attacked by suspected herdsmen. After conducting a mass burial for at least 70 persons in the wake of the killings, the state government is preparing to bury more victims of the attacks.